With over 300 active student organizations on campus, it can be daunting to find a group to join that fits one’s interests and goals. However, University of California Santa Barbara’s chapter of Nourish International, an organization that bridges the gap between those with resources and impoverished communities around the world to work together to create sustainable change, makes it easy to get involved. 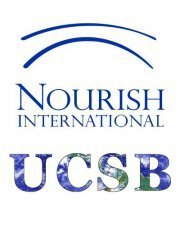 UCSB’s chapter of Nourish International is planning to travel to Nepal this summer in collaboration with University of California Davis to build classrooms and a soccer field for war afflicted children at the Sarswati Peace School. Miya Sommers, a second-year global studies and cultural anthropology double major, was inspired by her global studies classes to become active in making the world a better place. In high school she had aspired to join the Peace Corps, but Sommers realized she wanted to enact change that would be effective and long lasting. Nourish International is partnering with another organization, Inspire a Child, which aims to encourage underprivileged children to excel in the classroom and on the field by creating safe environments for them to pursue their dreams. Some of these funds will provide sOccket balls, which are soccer balls that harness the kinetic energy produced while children play with them and can be used to power small electrical appliances, like lamps. Carly McMaster, international projects director for the chapter, also looks forward to a career in international sustainable development and is one of the many board members to help Sommers establish the group on campus. Social entrepreneurship is the main concept of Nourish International so students interested in business and green technology can find their niche. The UCSB chapter has received a lot of support from the national organization and the Office of Student Life throughout its development to help with student recruitment and public relations. The chapter is open to all students and will hold various events and fundraisers to raise awareness and money for the upcoming trip. For more information about the trip to Nepal and how to get involved, students can attend meetings in the Lobero Room in the University Center on Thursdays from 6 p.m. to 7 p.m. Beyond this, there are many ways to support the project. On Wednesday, Feb. 29, there will be a presentation about the conflict in Nepal as a part of Human Rights Week in the SRB at 7 p.m. Nourish will also host “Himalayan Shakedown” at the Student Resource Building on March 8 at 9 p.m. Students can enjoy dancing, food and prizes while helping to support the cause. The village they fund raise to support, Arupokhari-1 in Gorkha, Nepal has been left without electricity or running water after a devastating civil war, so any contributions made by students will greatly help their efforts to reconstruct the community.